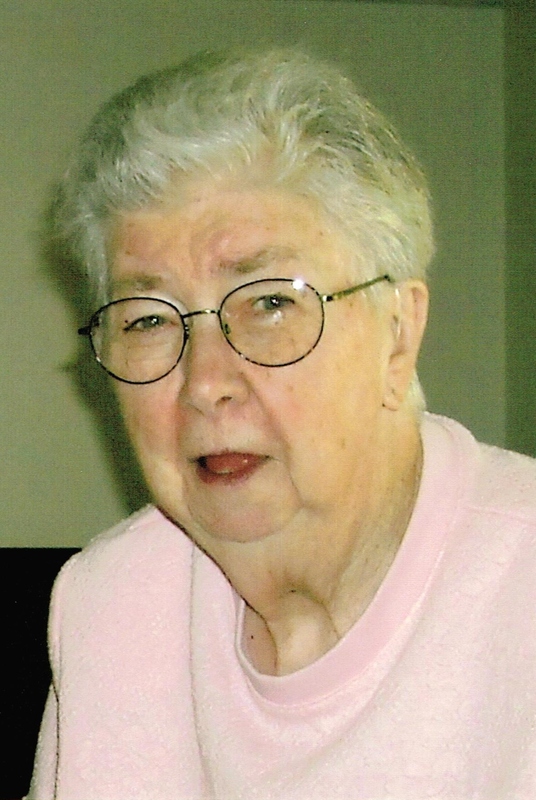 Irene Ann Peters passed away on February 1, 2019. Irene was born in Hamlin County, South Dakota on August 8, 1927 to Charles and Margaret (Kaiser) Mack. She married Thomas Peters in Waverly, South Dakota on December 27, 1949. Together, they had four children: Thomas, Barbara, Gregory, and Kathryn. Irene worked as a telephone operator for Northwestern Bell and AT&T. She was a great operator and worked diligently for 35 years. Throughout her life, Irene was a part of the Telephone Pioneers and was proud to be a member of St. Mary Church. Irene had many joys in her life; quilting, sewing, and reading were just a few. However, Irene's favorite activity was spending time with her grandchildren. Irene was preceded in death by her parents: Charles and Margaret (Kaiser) Mack, her husband: Thomas Peters; brother: Edmund Mack; and sister: Edmunda Hopkins. Those grateful to have shared her life are her children: Thomas Peters II, Barbara Peters, Gregory Peters, and Kathryn Gillen; sisters: Colette Norbeck and Mary Ann Wonderlin, six grandchildren, thirteen great-grandchildren, and one great-great-grandchild, and her nieces and nephews. Visitation will be Wednesday, February 6, 5:00 PM at Barnett-Lewis Funeral Home with a Scripture Vigil at 6:30 PM followed by the Rosary. Memorial Mass of Christian Burial will be Thursday, February 7, 10:30 AM at St. Mary Church.